David Kirchheimer gives Bill Pounders and Chuck Terhune a train ride at the event. 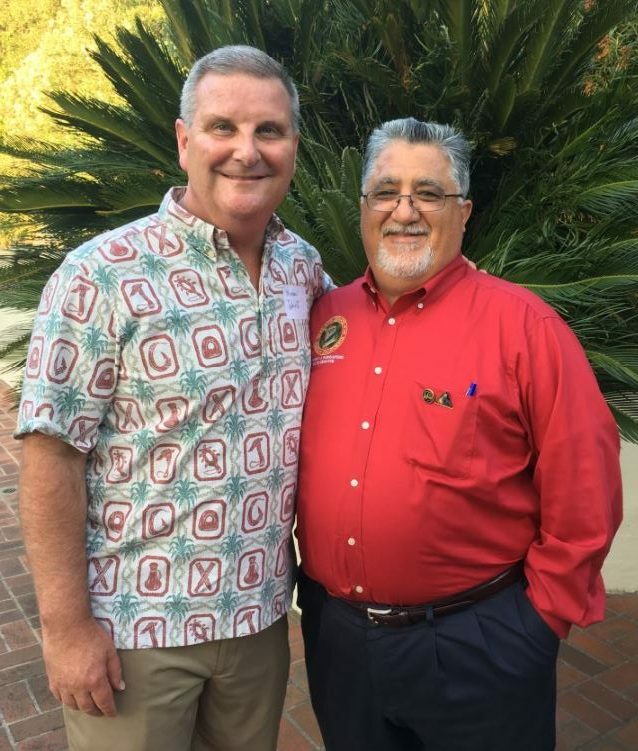 Mayor Michael Davitt and state Sen. Anthony Portantino were among 85 supporters at the recent La Cañada Flintridge Tournament of Roses Association’s August Happy Hour. 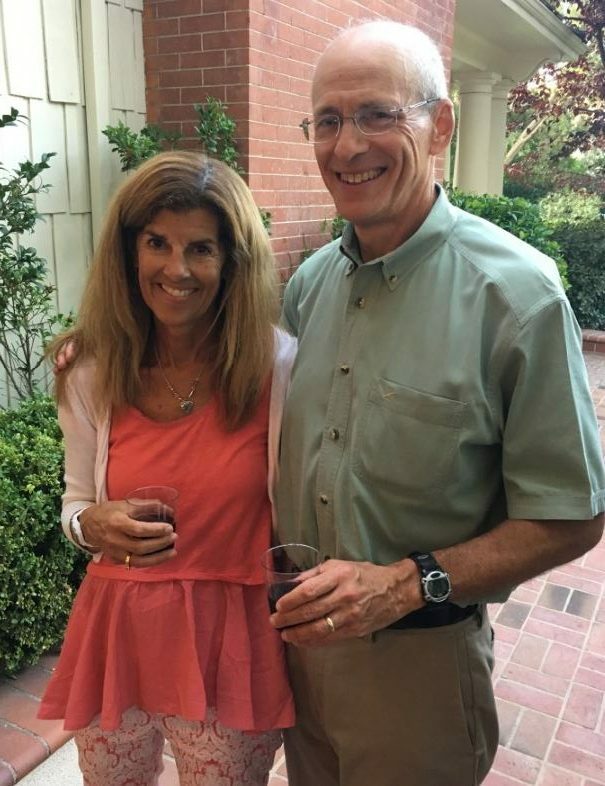 The La Cañada Flintridge Tournament of Roses Association’s August Happy Hour recently was hosted by Sherry and David Kirchheimer at their beautiful home on Flintridge Avenue. 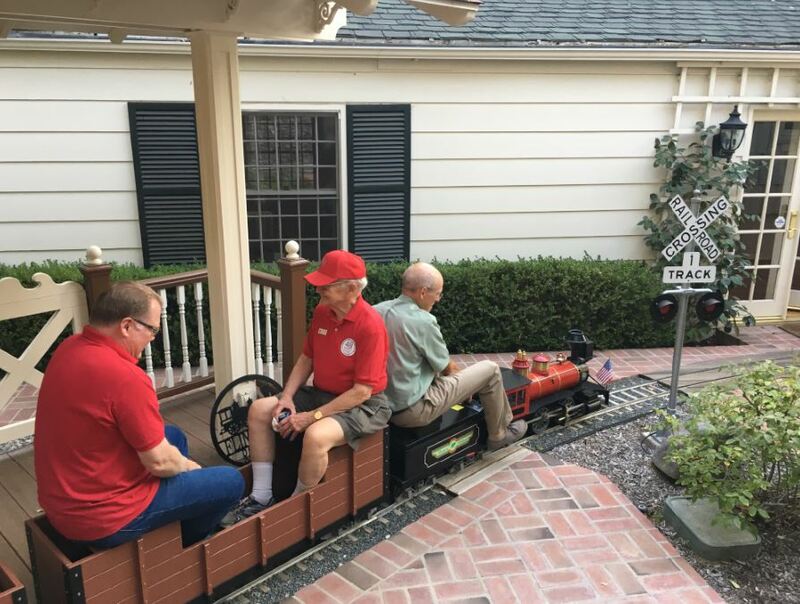 More than 85 float supporters and enthusiasts enjoyed riding the miniature Flintheim Railroad, built by the Kirchheimers. The evening had a magical feeling created by the Disney-like environment of the frontier railway. The grounds of the home were freshly manicured with beautiful green lawns and flowers in abundance — just like being at Disneyland. Guests enjoyed delicious hors d’oeuvres when not riding the railway through the Kirchheimers’ backyard. Sherry and David Kirchheimer host the Happy Hour. For more information, visit lcftra.org/home.